Over 8,100 non-EU, non-African nationals, currently hold a permit to reside in Malta, according to figures obtained by The Sunday Times. The figure surpasses by at least 3,000 the total number of African immigrants currently believed to be in Malta. The numbers do not take into account the thousands of EU nationals who have taken up residence in Malta. According to the Employment and Training Corporation, 4,282 EU citizens currently hold a work permit, though thousands more are living on the island. The figures appear to pour cold water on populist claims that the African community is growing disproportionately to the number of foreigners, arguments that have whipped up racist sentiments among several Maltese. The figures show that the largest number of non-EU nationals - 1,100 - hail from Serbia. Malta had absorbed a number of Serbs and Bosnians during the Balkans war in the 1990s and a number have now settled with their families. The vast majority of non-EU residents currently in Malta are from the former Soviet Union bloc - with 899 Russians, 409 Ukrainians, 56 Georgians, and 38 Belarusians. Most Russians hold a work permit and permanent residence due to 'income tax' reasons, according to immigration officials. Several are married to Maltese, while some are adopted. Several Serbs also hold a work permit, with the majority working in the construction sector. A good number of Serb nationals are also married to Maltese. Some foreigners, including 18 Americans, nine Canadians, and 10 Russians, qualify for residence in Malta because they are 'well off'. A total of 78 Chinese and 40 Kuwaiti nationals are in Malta to study, while 249 Libyans have taken up residence to be reunited with their families. 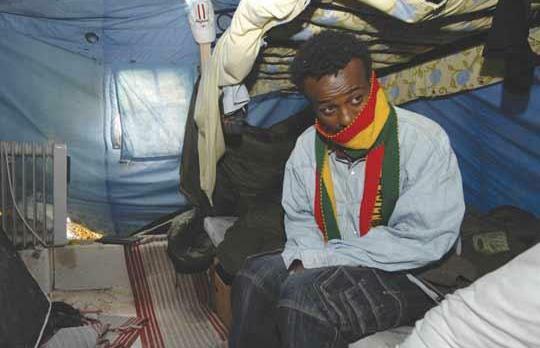 Malta has experienced rising levels of hostility towards foreigners in recent years, but the targets have mainly been African boat people fleeing poverty and persecution. Anthropologist Mark Anthony Falzon said the problem was not really a question of numbers, but one of relative visibility of different groups and the way they were culturally constructed in the popular imagination. Sub-Saharan immigrants are disadvantaged in the sense that they are readily visible because of their skin colour and they hail 'from Africa'. "Black Africans have for centuries been deemed inferior. The upshot is that black Africans are deemed passive receivers rather than active producers; it follows that we think of African immigrants as invariably dependent on us, with nothing to give back. Thus the belief that we have reached the limits (of charity). "One must also consider the dynamics of the immigration process itself. Images of overloaded boats, detention camps, and tent villages readily lend themselves to notions of crisis and emergency," Dr Falzon said. Official statistics show that 2,235 African immigrants are in detention waiting either for their case to be processed, or to be repatriated. A total of 2,137 are in open centres and about 1,000 are living in the community. Although there have been almost 12,500 arrivals since March 2002, over 7,000 boat people have been repatriated or have otherwise left the island. It is an open secret that several Africans who have been given a temporary travel document never return to Malta. The documents are normally issued to refugees and those with temporary humanitarian protection. Should they overstay, a member state has every right to send the immigrants back to their point of departure under EU rules contained in the Dublin Regulation. Many, however, are believed to slip through the net. The government's consultant on immigration, Martin Scicluna, recently wrote in The Times that many of the 5,000 or so Africans in Malta today would leave either through repatriation or resettlement programmes, or simply by removing themselves. "It would be wrong and irresponsible to paint the picture as a 'state of emergency', or 'a problem getting out of hand'." "These phrases simply fan people's understandable concerns but are far from reality... Malta is not being swamped by immigrants. As a proportion of our population, today's numbers amount to under 1.5 per cent. Our size exacerbates the perception of the problem but when compared with other countries in Europe, the number is relatively small," Mr Scicluna wrote.